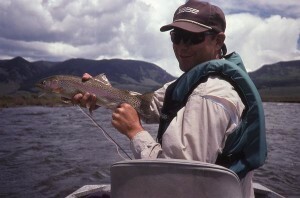 Duranglers specializes in year round fly fishing guided trips to the fabulous Durango area trout waters. We teach fly fishing skills to beginners of all ages and provide fine points and useful tips to the expert angler. Some of the many waters we guide are the San Juan, Animas, Pine, Dolores, Rio Grande, and Piedra. We have one of the most exciting trout waters in America, the San Juan below Navajo Dam, just a scenic easy sixty-minute drive from Durango. This river is known for it's abundance of large trout and is a great destination for novice and expert anglers. With a constant water tempeture being released from Navajo Reservoir this river fishes well year round. Although we offer guided wade fishing trips on the San Juan, some prefer to float this river making it a less physically demanding and relaxing day. The Quality Water section is where most fly fishermen concentrate their efforts, which is from the Dam downstream for 3 1/2 miles. This sections has the highest concentration of trout with the largest average size due to the special management regulation put in place by the New Mexico Game and Fish. Guide trip fees do not include fishing license, rental equipment if needed and flies. Trips in Colorado are not taxable but trips to New Mexico are subject to a 5% tax. 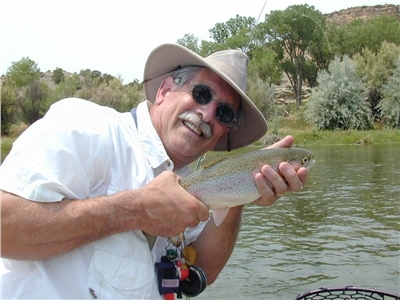 The Animas, Dolores and San Juan Rivers in Colorado offer some excellent float fishing oppertunities. Floating these rivers gives the angler a chance to fish waters not accessible to the public for wade fishing. 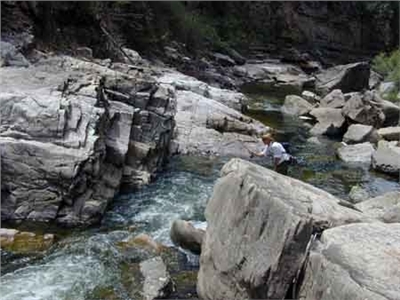 These trips are dependent on flows and it is hard to know when the best float window will be. 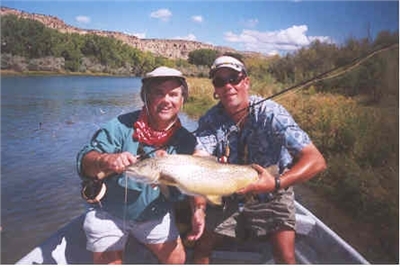 We also offer a Lower San Juan River float that is not accessible to public wade fishing. The big dry fly and streamer fishing this section offers is quite a contrast to the small flies and numbers of anglers on the Quality Waters Section. The Lower San Juan Float demands a little higher skill level than the Quality Water and is more dependent on river flow and conditions. Wade fishing trips are available on almost all the water we guide. 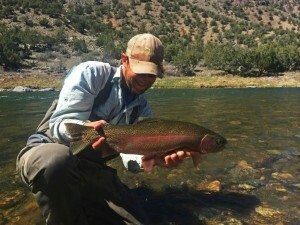 From the famous San Juan Quality Waters below Navajo Dam, where most of the fish are in the 15 to 18 inch range to more small mountain creeks than you will have time to fish. The smaller waters can not offer the consistent big fish of the San Juan but make up for it in sheer beauty and solitude. 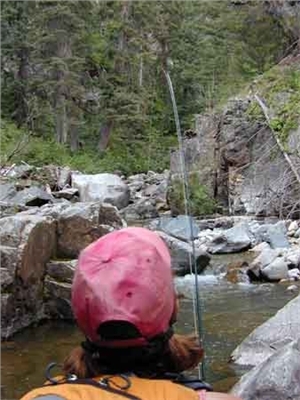 Other wade fishing waters in the area are the San Juan, Animas, Dolores, Pine and Pierda. Each fishery offers a different experience and our staff can help determine which would be right for you. Start out going NORTH on CAMINO DEL RIO/US-550 toward W COLLEGE DR/W 6TH ST. Turn RIGHT onto W 9TH ST. Turn LEFT onto MAIN AVE. End at 923 Main Ave Durango, CO 81301-5121. Cancellation | Cancellations made 30 days prior to trip date-entire deposit is refundable. Cancellations made less than 30 days in advance may be transferred to another trip within that year. Deposit | A deposit of $100 per day per guide at time of booking trip - Balance due at the end of the trip. Other | Please note, fishing conditions can change often and rapidly. As fly-fishing experts, we are invested in making sure that you have the best possible fishing experience so please be aware that your trip may vary depending on conditions and additional costs may be necessary. We will call you prior to your arrival to finalize your trip details. Guide trip fees do not include fishng license, rental gear if needed and flies. Trips in Colorado are not taxable but trips in New Mexico are subject to a 5% tax.